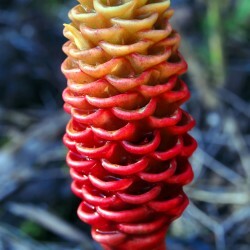 Exotic Ginger Exotic gingers include beehive, shampoo (shown), rattlesnake, costus, and others. 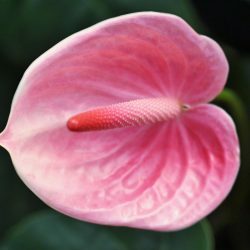 These are typically shorter and more compact than our traditional red or pink ginger flower. Grower’s choice of the best available. If you need a particular type or color or type please contact us. 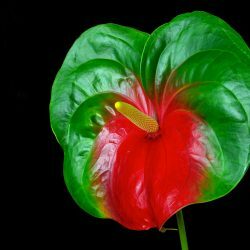 Obake Anthurium Obake anthurium are different than the solid reds or solid greens in that the color of the bloom varies. The most popular obake is sometimes called the ‘watermelon’ as the color changes from dark green to dark red. 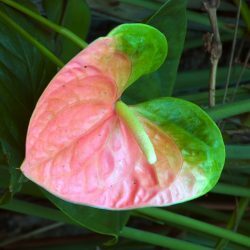 Rainbow Anthurium – By the Dozen Rainbow anthurium are a two color flower who’s tone goes from green to a light or dark pink. 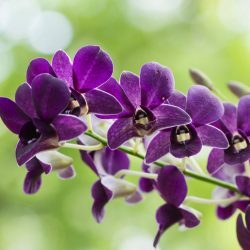 This is a popular flower because of the variation in color. 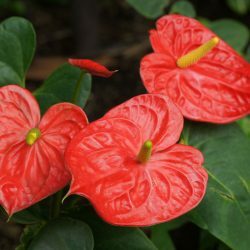 The medium sized blooms are about 4 inches across. 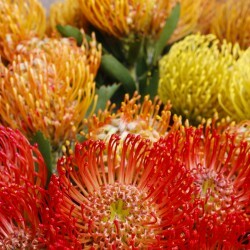 These flowers are unusual and long lasting. 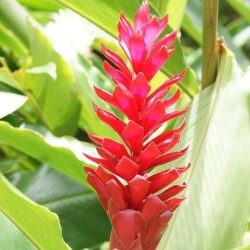 Hawaiian Ginger Hawaiian ginger grows throughout Hawaii and is used for flower arranging as well as landscaping. 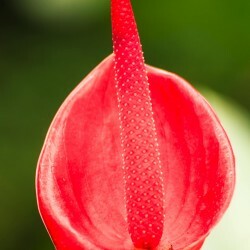 This tall flower comes in red or pink with a long stem. 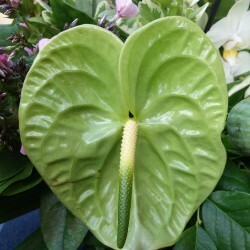 This is one of the most popular Hawaiian flowers. 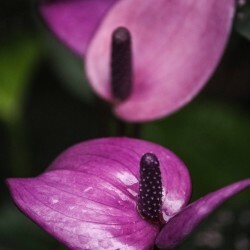 The ‘blooms’ are actually bracts. Over time small white flowers will emerge from these bracts. 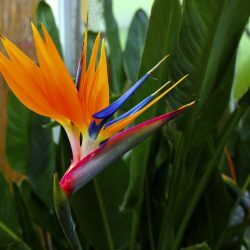 Ryzo Heliconia Ryzo heliconia, or psitticorum are a small, bird like bloom. 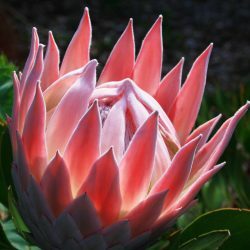 They are smaller than the tropic fleur or heavy upright heliconia.